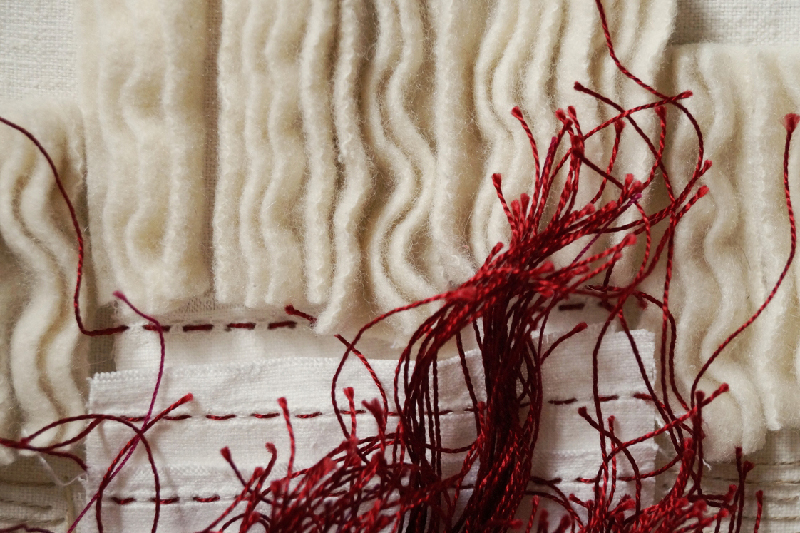 The exhibition “Gabi Mett – Textile Poetry” will take place from 8 to 23 June 2019 at the Swiss textile art gallery “art textile sent”. 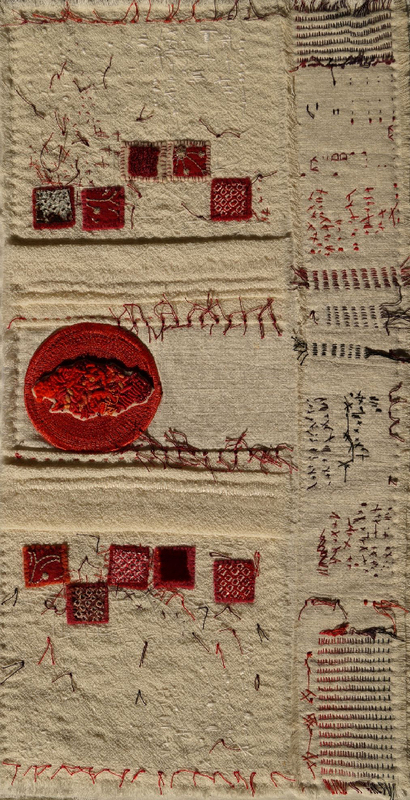 For almost forty years Gabi Mett is known for her work as a lecturer in textile art and author. As an artist she is working with the possibilities of textiles an textile techniques. 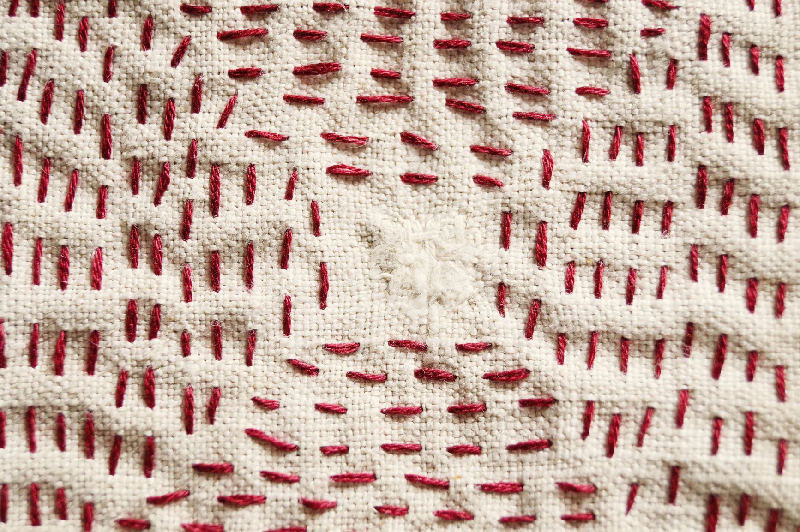 She tried out the most diverse textile techniques and has found her own language. In this process, embroidery has become especially important for her. She uses used fabrics, paper, found objects, pearls etc. All of this is added to a whole – expressing her personal statement. 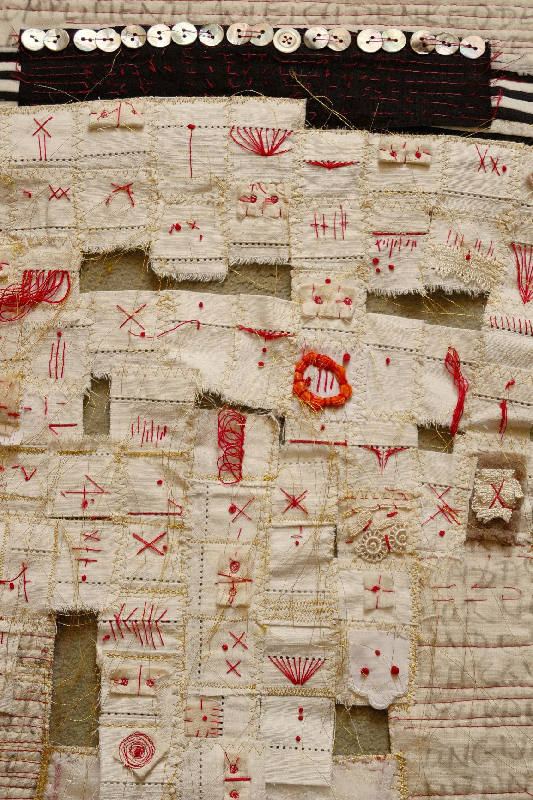 Her inspiration comes from achievements of human culture, as there would be signs – writing – text – textiles – cult – culture. Often, however, the inspiration is also the material itself. Her works tell stories, but they also hide secrets – they are magical poetry. 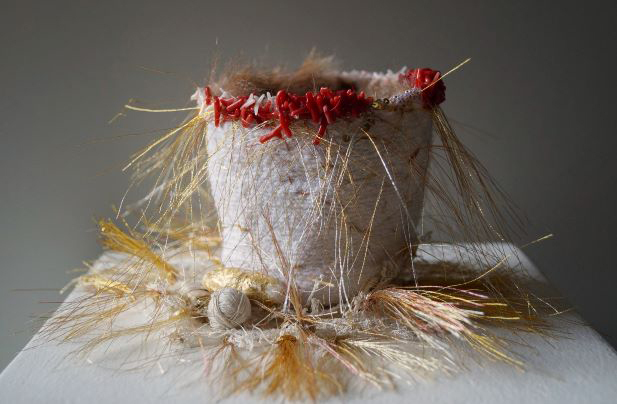 Gabi Mett is present at international textile art exhibitions. She has also won prizes and awards and is represented with her works in museums. At the exhibition you can also see works from the cooperation of Gabi Mett with her husband, painter and graphic artist Robert Horn.